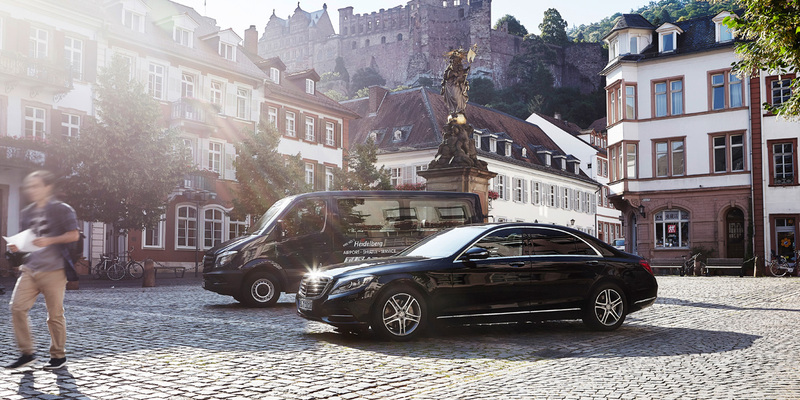 Our fleet is equipped with selected vehicles from Mercedes-Benz. From the classic Sprinter for the shuttle trips to the prestigious limousines, all the cars are fitted with the most up-to-date technology. Apart from the regular checks in the authorized garage, the vehicles are continually maintained in our own automotive garage to guarantee the highest safety for our guests. Meet the fleet here. 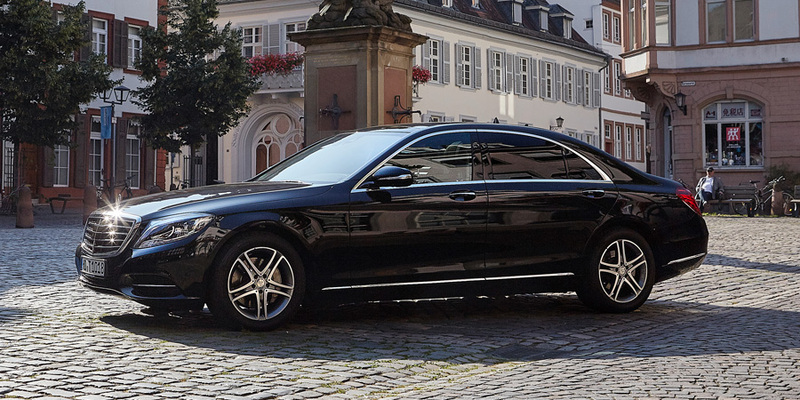 Time is never wasted when you travel in the long version of the S-class. Passengers can use the time effectively either working or stretching their legs and relaxing during the trip. 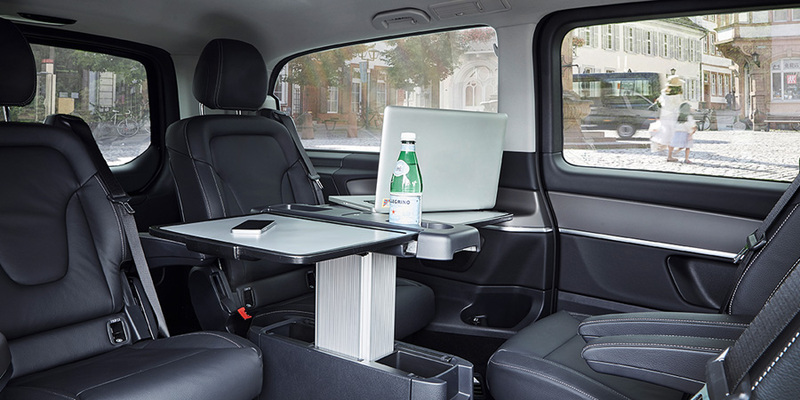 Every rear seat has its own folding table, a temperature-controlled cup-holder (with a 230 Volt socket) and a multimedia system. All the seats are fitted with climate control and a massage function. The windows are tinted to escape prying eyes. The car’s WiFi enables you to keep in touch with your Smartphone. In short: Whoever sets up their workplace in the rear seat of the S-class does not need another office. 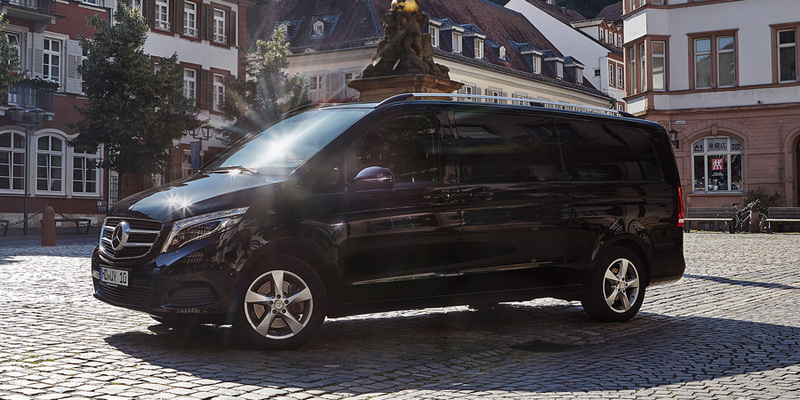 Whether you need a first-class shuttle service for business associates or a recreational vehicle for passengers with the highest demands, the long version V-class represents perfection in every last detail. In the rear, there is a folding table for your convenience. Of course, the most innovative assistance systems will make sure your passengers arrive safely at their destination. The V-class is luxury par excellence. 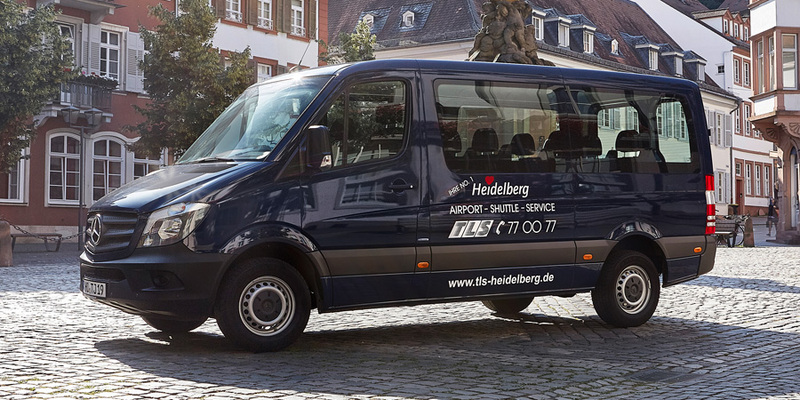 The mini-bus from the premium manufacturer with the highest safety standards make every trip comfortable – whether it is an airport shuttle service or a trip to an event. 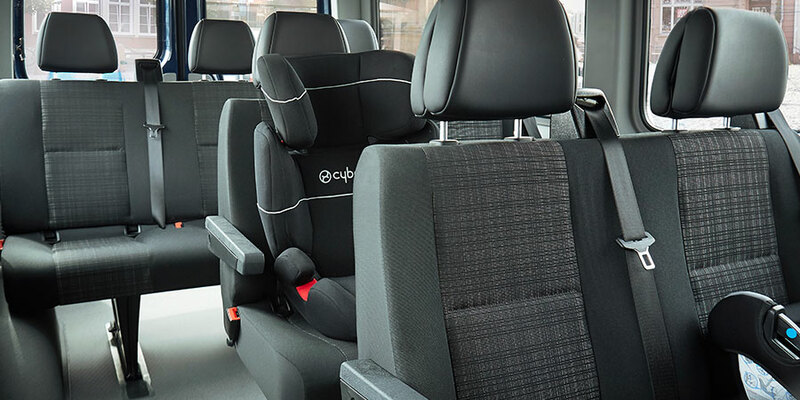 The passenger seating arrangement 1-2-2-3 offers optimal seating comfort. The luggage compartment has enough room for up to 12 items of standard-size luggage. The ideal mini-bus for all types of shuttle service.